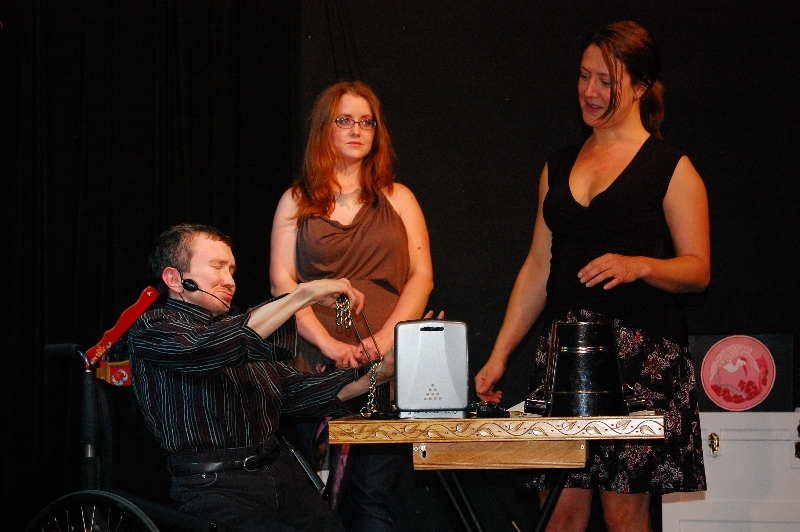 The Vanishing Wheelchair, Inc. – Where the arts showcases capability over disability. 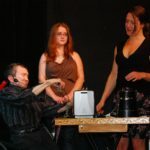 “Making Disability Disappear” by working with people with disabilities to help them find their unique place in the world, and to change the world’s view of disabled people by sharing their inspirational stories. The Vanishing Wheelchair, Inc. was founded by Thomas J. Shimeld and Ricky D. Boone and incoporated in the state of North Carolina on November 24, 2010 as a charitable non-profit corporation. 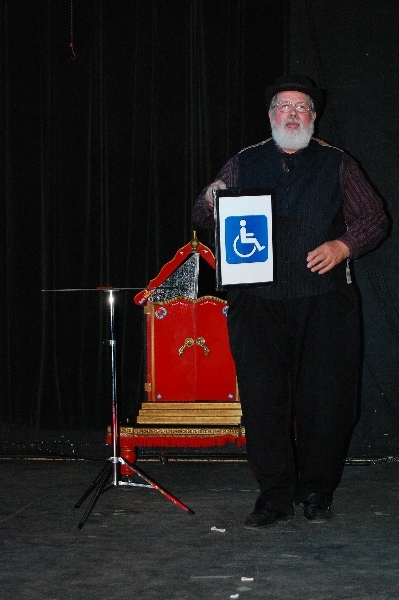 Inspired by the mystifying misdirection of Ricky D. Boone who uses magic and comedy to make his disability a great ability, The Vanishing Wheelchair, Inc. was founded to teach the art of misdirection to encourage the world to focus on another’s ability rather than one’s disability; to guide youth in the discovery of their own talents; and to give youth a path to reach their full potential. 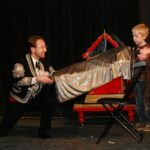 Its purpose is also to provide entertainment, education, and inspiration to children of all ages in the hope that each will attain his or her God-given potential. 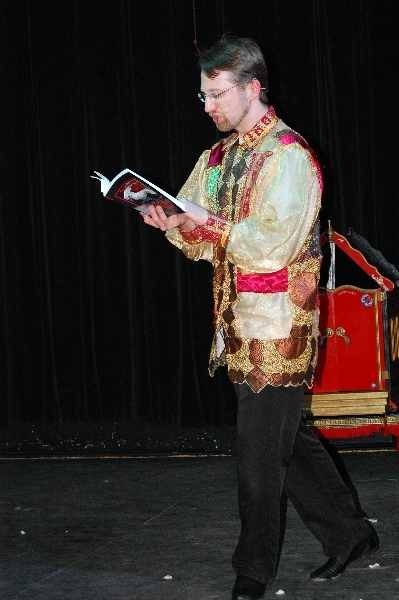 And to print and publish inspirational books and literature. 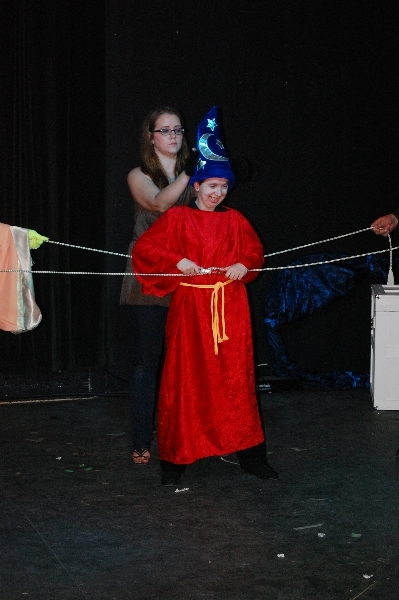 T.J. Shimeld and Ricky D. Boone founded the organization to help people with special needs and to promote the arts. Ricky’s life has purpose: he loves to make people laugh. T.J. and Ricky would love to give others a chance to find what they love. 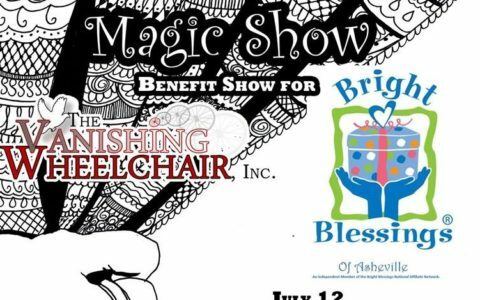 T.J. and Ricky’s dream is to have a place where they can let special needs people come and be a part of a business, be a part of a magic show. Perhaps they could sing, dance, tell jokes, paint, take photographs, or sell tickets – whatever they could do and wish to do. 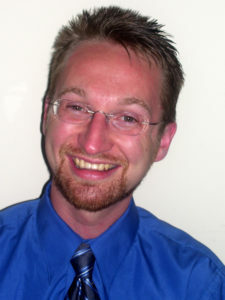 T.J. Shimeld earned a Bachelor’s Degree in Clinical Psychology and a certificate in Community Health from Tufts University. His graduate work in teaching and guidance counseling was done with Lesley University and Salem State University. 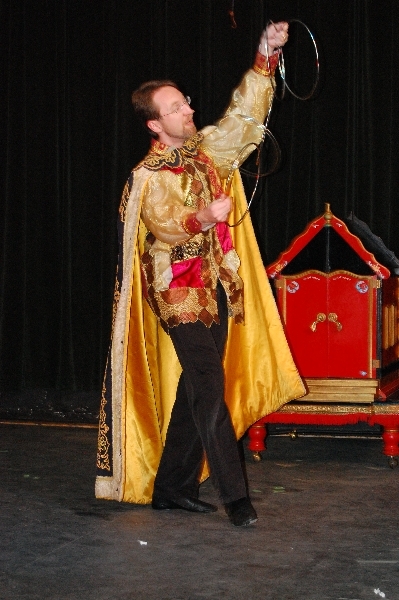 Since the age of eleven, Shimeld has worked as a professional magician performing at birthday parties. 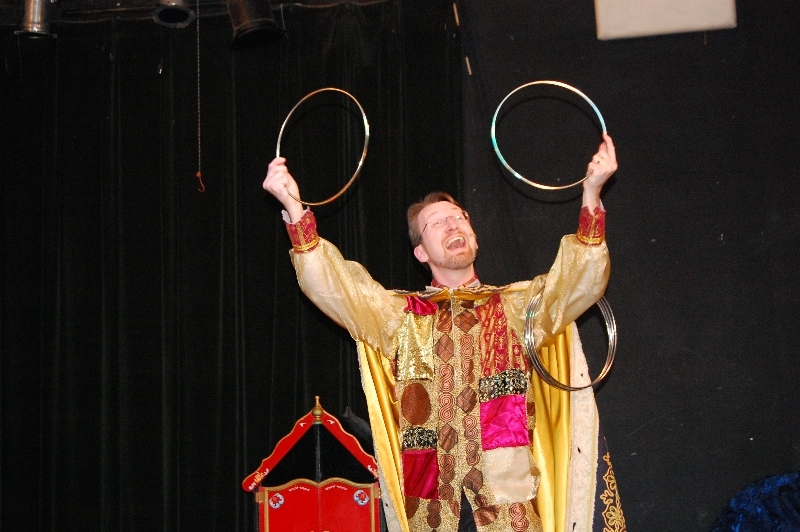 Through the years he has progressed to working theme parks, festivals, and charity and corporate events. 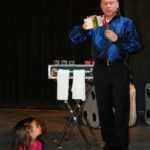 Shimeld apprenticed eight years with “Marco the Magi’s Production of ‘Le Grand David and His Own Spectacular Magic Company,’” the longest-running resident magic show, according to Guinness World Records. 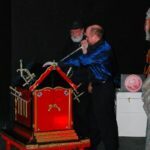 In North Carolina, Shimeld founded Fli-Rite Productions, a multi-media visual arts production company for the entertainment and education of its audiences. 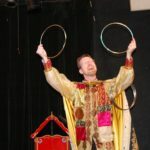 Through his company, Shimeld performs as Wendal Wandell, the Wordsmith of Wonder, presenting educational programs at schools and libraries. 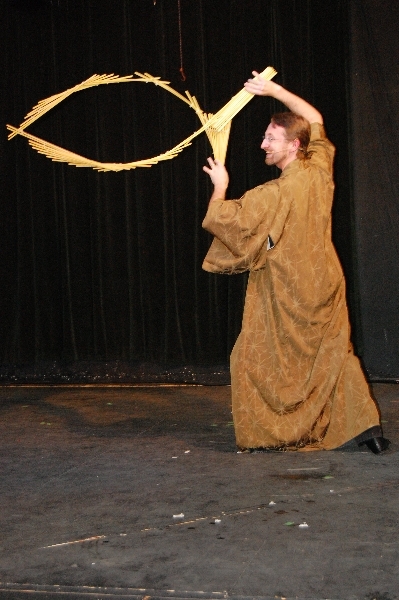 Shimeld's articles on magic and its history have appeared in such magazines as M A G I C Magazine and The Linking Ring. 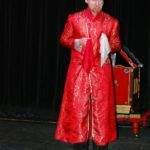 Shimeld has also published a biography, Walter B. Gibson and The Shadow (McFarland, 2003/2005), of a magician, writer, and the creator of The Shadow. 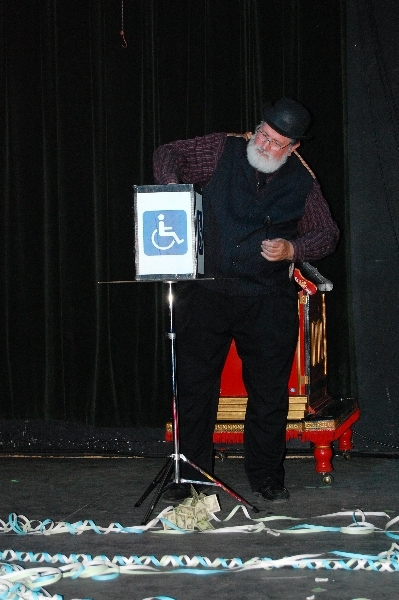 His second biography of magician Ricky D. Boone, The Four-foot Giant and the Vanishing Wheelchair, led to the founding of The Vanishing Wheelchair, Inc. and the joining with Boone in presenting motivational speeches. 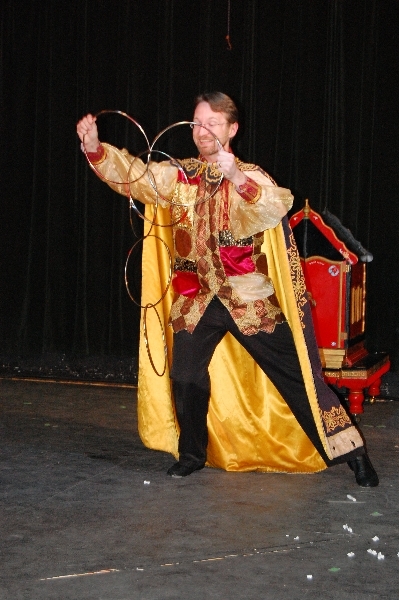 Between performances, Shimeld worked for ten years with the International Brotherhood of Magicians as the Ring Reports Editor for The Linking Ring, he also educates others on magic and juggling through his Wonder Workshops for which he has self-published three books: The Principles of Magic, The Magical Arts, and Juggling Gestures. Shimeld has worked for CVS Health for fifteen years, holding the position of lead technician since 2005, managing and educating a staff of twelve pharmacy technicians. 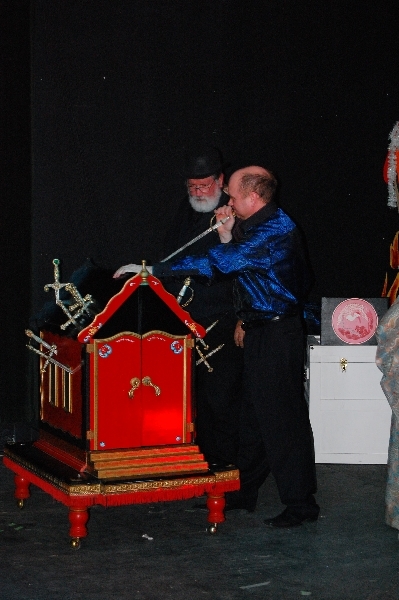 Shimeld resides in Morganton, North Carolina with his son. 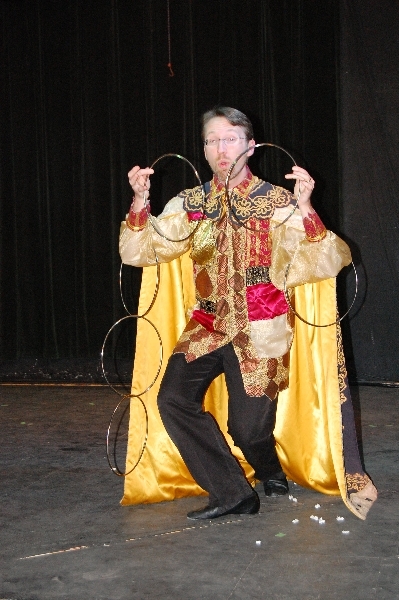 Through high school, college, marriage to Linda, the rearing of three children, and following a career in electronics engineering, magic was always a part. During these years, his wife and each of the children took a turn at being produced from an empty cabinet, made to look like a church. 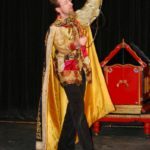 He took the stage and platforms in churches, summer camps, retreats, schools, colleges, and streets, of the Eastern Seaboard from Nova Scotia to Miami, as well as a few European and Asian countries, as he was invited to share the surprise and delight of magic. Today Mr. Carlson is retired with Linda in Asheville, NC. In his involvement with The Vanishing Wheelchair, he draws from his ten year life experience as an urban missionary with World Impact while living in the inner city of St Louis, to engage in bringing the commodity of opportunity to people that can benefit most, but are often overlooked. 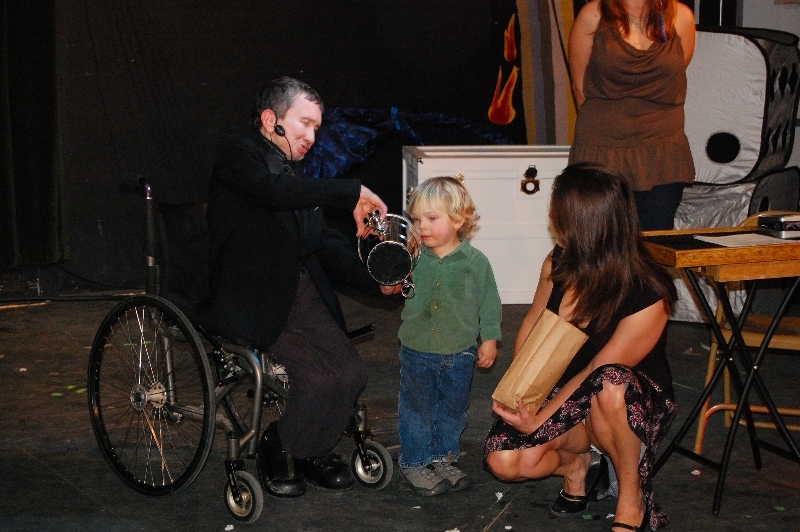 He is happy to be involved with the performing, teaching, and strategizing aspects of The Vanishing Wheelchair to find ways to help people have their hopes and desires realized in the performing arts and other endeavors of the organization. People who hear about Ricky D. Boone’s struggles with a rare bone disorder can’t help but be inspired. Through the years he has escaped a rare pneumonia, survived brain surgery, and lived through a heart attack from a rare virus. 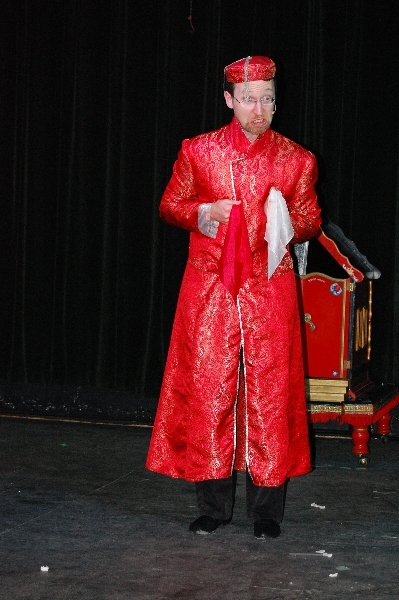 Yet Ricky has been a success in the corporate as well as magic worlds. Ricky did not happen upon his success by magic, but through hard work, earning associates degrees in Applied Science in Accounting, Marketing/Management, and General Business in 1981. From 1986 until 1995, he worked with Cable Electric, Inc. as an officer manager responsible for payroll, accounts receivable, accounts payable, and inventory. 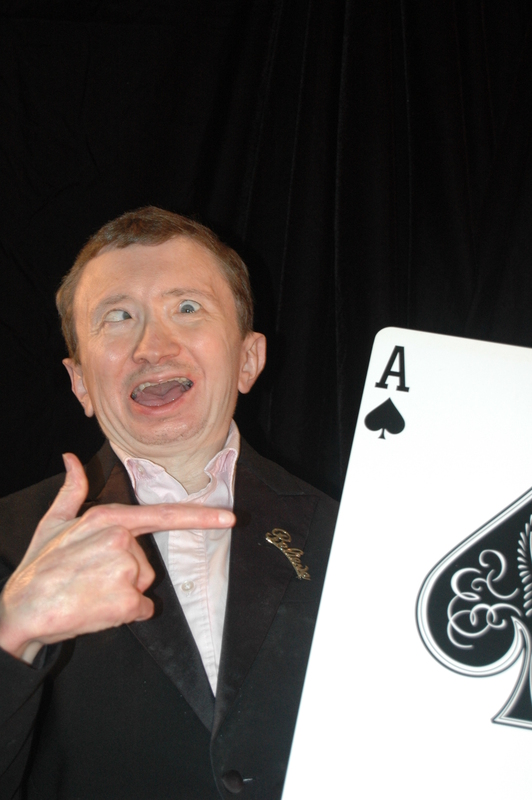 Since 1973, Ricky has been performing magic, appearing on all four major television networks. 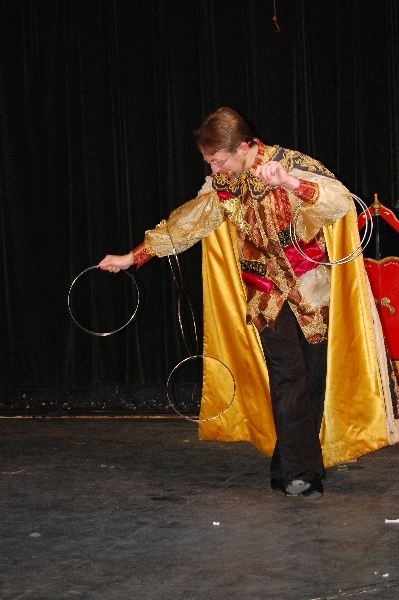 A documentary news broadcast of his life won two Emmy awards and he has run and operated tandem magic businesses. 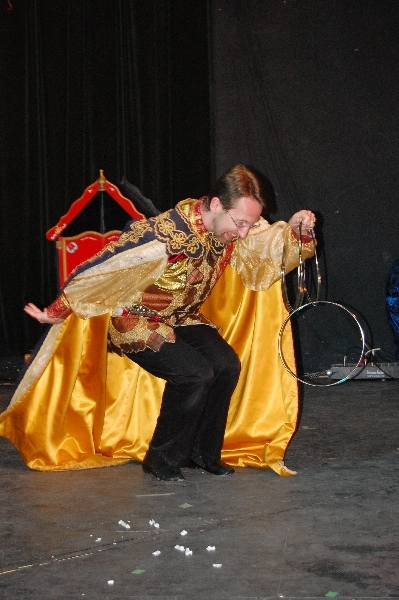 He began Magic Times Two for his performances since 1980, and in 1995 opened his own magic shop, Magic Central. And since 2010, he has been a motivational speaker, inspiring the world with his story. Vixi Jil Glenn has been telling stories professionally since she was seventeen. She began studying Katherine Briggs’s Encyclopedia of Faerie as well as Faerie tales and legends by Hans Christian Anderson, which completely shaped the type of storyteller that she has become. 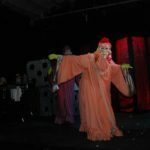 Vixi shares traditional faerie, folk, and Jack tales, as well as rhyming faerie tales of her own with her audiences. 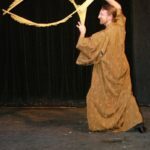 Vixi has honed her craft as a three year participant in Connie Regan Blake’s Academy of Performance Storytelling -Taking it to the Stage. 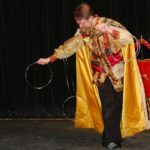 She is a past vice president and current member of the Asheville Storytelling Circle, as well as a member of the NC Storytelling Guild and Jonesborough Storytellers Guild. Vixi is a certified E.L.F. 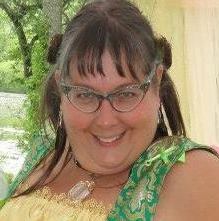 school facilitator (Enchanted Living Forest School) as well as an ordained wedding officiant. 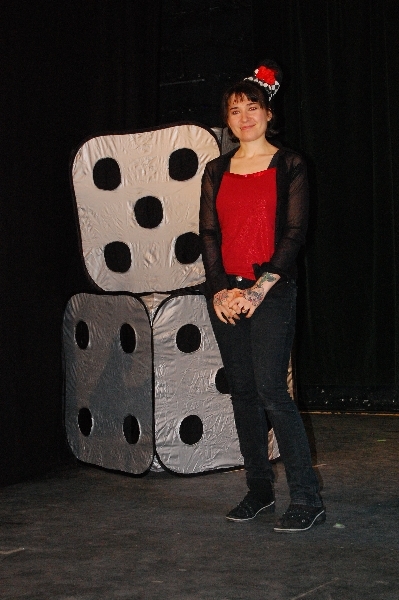 Vixi has shared her stories at numerous festivals, fundraisers, and schools. In 2015, Vixi founded the Appalachian Faerie Folk School in which she weaves together original and ancient faerie tales, enchanted walkabouts, and personal accounts to help guide folks into explorations of discovery in the etheric realms and the magical world of faeries, elves, devas, brownies, gnomes, mermaids and all sorts of wonderful enchantments through the construction of faerie houses and wings. 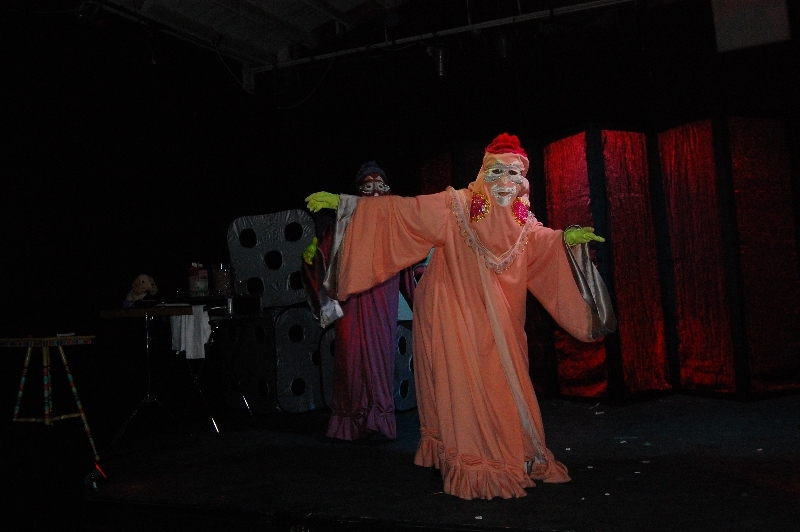 Kelti has been performing on stage since she was seven years old. 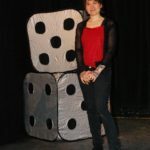 She has studied music with the Jacque Glenn music school, Asheville music academy, Asheville music school and with Nancy Simmons. 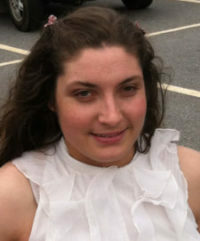 She has sang the national anthem for the opening of the Asheville tourist baseball games and for the opening of income county special Olympics spring games. 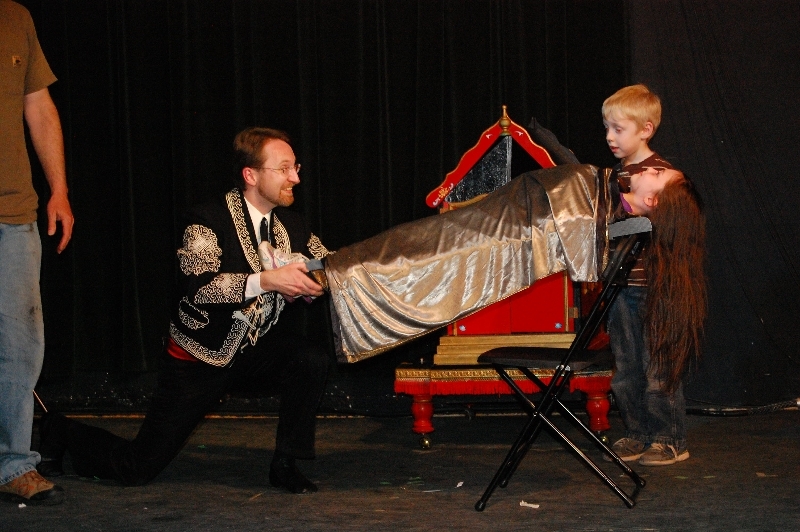 She has been a performing member of the Vanishing Wheelchair for over five years. 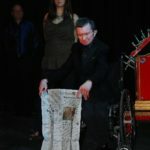 The Vanishing Wheelchair, Inc. offers a number of workshops which are universally accessible, yet geared toward helping people with disabilities find a life-long passion through learning about the arts and learning skills that have real world application as a hobby or potential career path. 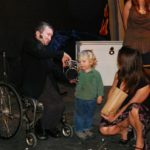 With the All Things Possible Workshops, The Vanishing Wheelchair hopes to give a sampling of possibilities that an individual can try. 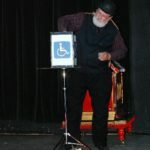 Once several people develop an interest in a particular art form, The Vanishing Wheelchair can offer specialized clubs in that field for more in-depth study. 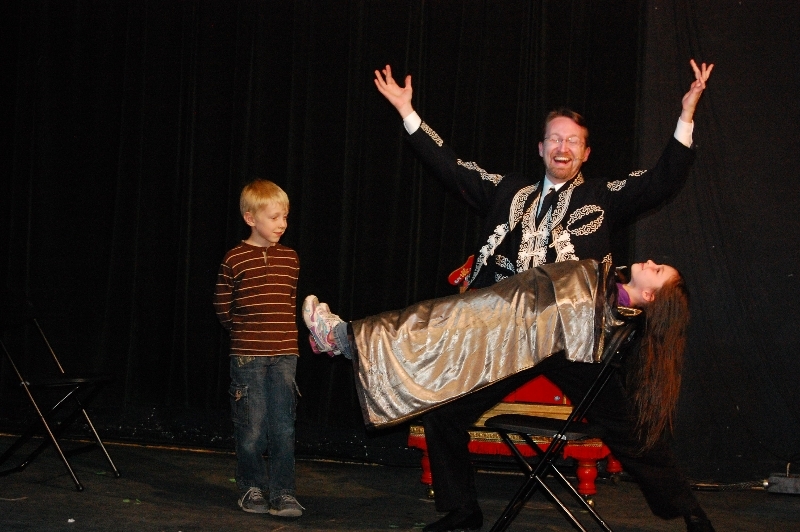 The Magic, Mirth & Meaning shows, which happen twice a month, act as a showcase for people to further practice and hone their talents in front of a live audience. Click the date/workshop for more information or contact us via email. Seated Tai Chi: Vixi Jil Glenn offers the unique strength, breathing, and flow of energy throughout the body that traditional Tai Chi offers, but from a seated position. Integrating her penchant for story telling and repetition of movements, participants will quickly learn and retain the knowledge Vixi imparts. Photography: Lead by Ricky D. Boone with the aid of other photographers, Ricky imparts his knowledge and eye for capturing life’s magical moments on film. Participants will begin with disposable cameras and advance to black and white photography and dark room film development. Wood Working: Participants will learn basic wood-working techniques while measuring, cutting, sanding, and staining their own 3D optical-illusion puzzle. 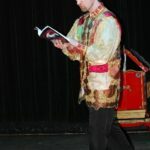 Story Telling: At age sixteen, Vixi Jil Glenn writing rhyming faerie tales, and by age seventeen was telling them professionally. 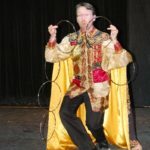 Vixi offers numerous workshops from Traditional Appalachian Jack Tales, to Cherokee Myths, to Biblical Tales. See www.vixijil.com for details. Appalachian Faerie Folk School: Storyteller Vixi Jil weaves together original and ancient faerie tales, enchanted walkabouts and personal accounts to help guide folks into explorations of discovery in the etheric realms and the magical world of faeries, elves, devas, brownies, gnomes, mermaids and all sorts of wonderful enchantments. 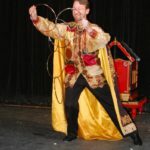 Misfit Toys Construction: Rudolph the Red-Nosed Reindeer had deep meaning to magician Ricky D. Boone, story teller Vixi Jil Glenn, and singer Kelti Buchholz growing up with and around disabilities. They discovered that everyone has a place in the world. 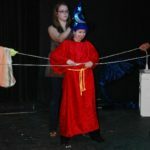 Participants will learn skills in sewing, crafting, sculpting, and painting as they breath new life into old toys by reassembling them in new ways. 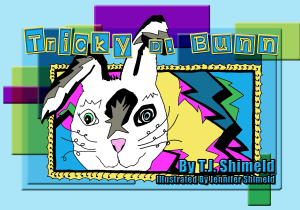 Tricky D. Bunn is a touching story of the friendship, magic, and love between a child and a rabbit with a disability. Children will see each other and themselves through loving eyes, and learn not to judge a book by its cover. From day one, Ricky Boone’s doctors predicted his death from a rare bone disorder, Morgani’s Syndrome. If he survived birth, he would never make it beyond four years old. He is now over fifty. Through the years he has escaped a rare pneumonia which kills people with two healthy lungs, brain surgery with a fifty-percent survival rate and lived through a heart attack from a rare virus. When left to die in the hospital a voice spoke to him, “If you are too tired, I will bring you home. If you are willing to fight, I promise you, it is not over.” Hours later he was still alive, though doctors said he would never leave his bed. A week later he was up, yet the doctors knew he could never perform. 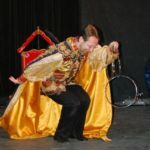 That was over ten years ago and he has performed more shows since than ever before, appearing on all three major television networks and winning numerous awards and accolades from the magic community. A documentary news broadcast of his life won two Emmy awards for best feature and best story in the Southeast region. “If it weren’t for magic, I wouldn’t exist,” Ricky smiles. 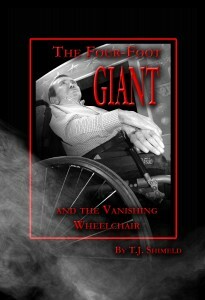 T.J. Shimeld lives in Morganton, North Carolina and is founder of The Vanishing Wheelchair, Inc., a non-profit organization. 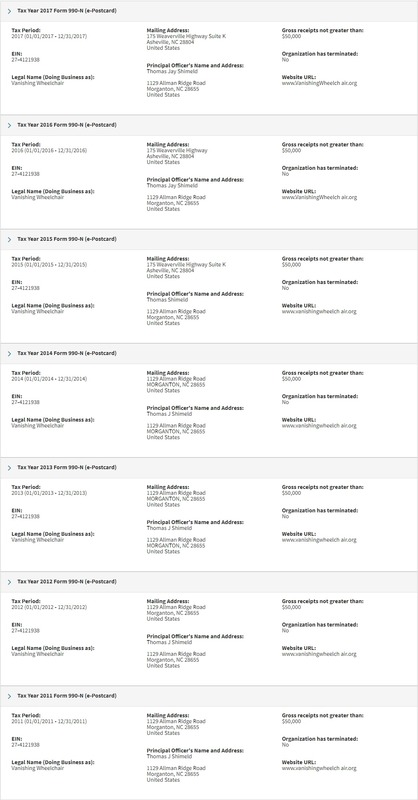 The Vanishing Wheelchair, Inc. is a 501(c)(3) Non-profit Public Charity, EIN 27-4121938 (legal name: Vanishing Wheelchair) located in Asheville, NC 28804. It values transparency and its exempt status filings are available to view at IRS.gov. Most small organizations that receive less than $50,000 fall into this category. © 2019 The Vanishing Wheelchair, Inc. 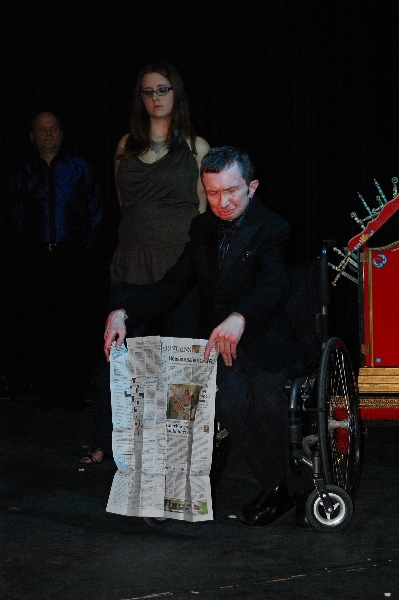 The Vanishing Wheelchair is a non-profit that breaks down barriers between people who do and don’t have disabilities. 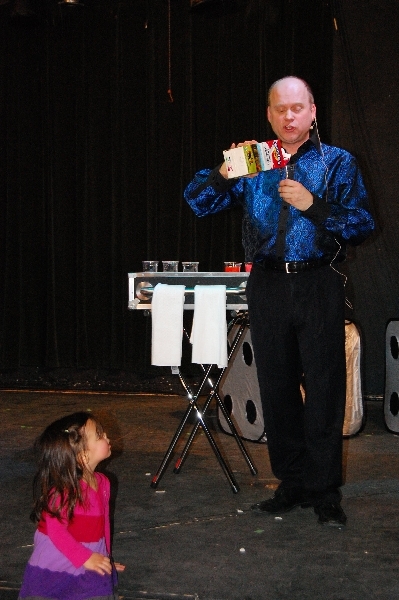 For example, we teach people with disabilities how to do magic tricks and then give them opportunities to perform. When they do, those watching don’t see someone disabled – with a wheelchair, hearing aid, or other assistive technology – but instead perceive a talented and accomplished individual. The wheelchairs, hearing aids and all the rest have vanished.